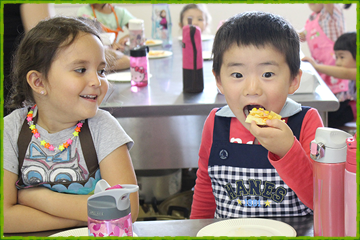 CFIS is a great school for kids to start their early years. 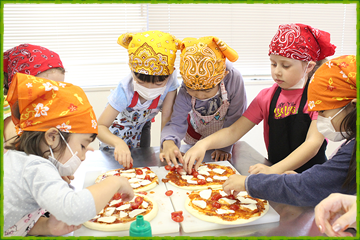 Our progressive, fun and child-centered approach encourages learning through discovery and exploration. As well as covering traditional subjects integrated into our IPC curriculum, children attending CFIS also have ballet, swimming, gym, Japanese and music as special subjects. Our classrooms are bright providing the children with a pleasant, comfortable and stress-free environment. Our awareness of safety issues and age-appropriate lesson planning means that children attending our school are able to thoroughly enjoy their early years’ experience. Kids at CFIS are able to learn naturally at their own pace under the guided supervision of experienced teachers and staff. As well as running a multitude of classroom activities, we also have a gymnasium where gym and other special subject lessons take place. We have our own outdoor playground which is only a short bus ride away. Children love to run, play ball and let off steam during playground times. For safe and effective learning, an appropriate number of students are accommodated in each class. Learning takes place in a relaxed, steady and progressive manner. Pleasant learning atmosphere facilitated by licensed and experienced teachers. Offers special academic subjects and sports such as Language arts, Math, Science, Social Studies, Ballet, Gymnastics, Swimming and Japanese language. Offers extension programs for CFIS students from 7:30 am to 5:30 pm. Welcomes CFIS graduates and non-CFIS returnees to our Advanced English Conversation afterschool classes. AED (Automatic External Defibrillator), air conditioning, air purifiers and humidifiers, school bus. Lunch and snacks are also provided.